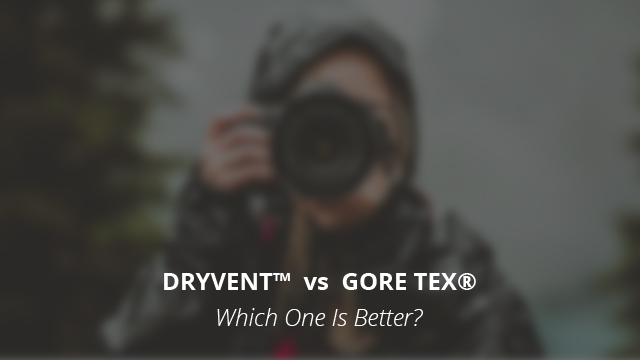 DryVent vs Gore Tex Technology: Which One is Better? Welcome back to a comparison review! In this one, as you saw in the title, we will not be looking at two jackets versus each other, but instead, we will be focusing on fabric technologies. Gore-Tex® and DryVent™ are two of the most popular fabrics used in modern outdoor apparel, especially jackets. They come with many specifics and features that have given them their well-deserved reputation, as we will see in this review. The reason why we chose to do a comparison between two fabrics rather than jackets that might have either of these as part of their material, is because both of them come up quite often in our reviews and especially in our selections. Because of that, we thought it would be best to have a separate piece for them both, so you will not only have a better understanding of what they are best for, but to also know how they compare to each other. Besides, they are also the two most used fabrics in The North Face‘s jackets, a brand that we have reviewed extensively before. Once again, we will be following the usual structure of looking at each separately and then comparing their different aspects and features to see how they fare. With that being said, let’s get started right away with Gore-Tex. Gore-Tex® as a brand name came to be in the 70s, by W. L. Gore & Associates, the company established in 1959 by Wilbert L. and Genevieve Gore. Their son, about a decade later, created ePTFE (expanded polytetrafluoroethylene), a strong and microporous material that had many characteristics, the most important one being its weathering properties and low water adsorption. The ePTFE is then patented under the company’s name and found use in numerous areas, including outdoor clothing, which is what brings us to today’s topic. It is a thin membrane made of ePTFE, with more than 9 billion pores per square inch. It is a laminate because it is bonded between two fabric layers, the outer textiles and the lining and it is a fabric technology because each product has specific features that fulfill different needs and requirements. Gore-Tex® is fully waterproof, no other way about it. Not only is it waterproof, but it is also water repellent and able to maintain this ability for its entire lifetime, being one of the very few fabrics that can manage to do so. Gore-Tex® is windproof to the point of exceeding the required standard of 1.0 cfm rating of air permeability. A common issue among fully waterproof fabrics is their lack of breathability, which leads to overheating. Having over 9 billion pores per square inch, it allows your sweat to escape from the inside of the jacket, leaving you dry and maintaining a stable body temperature. DryVent™ fabric is developed by The North Face and it is their highest performing fabric technology. The North Face is an American brand of outdoor clothing, which focuses mainly on the performance of their products. As a membrane, DryVent is fully waterproof and also treated with DWR finish in order to not only prevent water from getting through, but causing it to fall off the jacket entirely by forming small beads that minimize contact time. Set up in several layers, DryVent is capable of blocking winds entirely. DryVent is also very breathable, allowing perspiration to leave the body in the form of moisture vapors, thus preventing overheating and excessive dampness inside the jacket. Now that you got the gist of what each fabric consists of and their general qualities, it’s time to look at how they compare to each other when it comes to different features and ultimately, which one is better. The waterproof rating of a fabric is its water column measurement, meaning at what level the fabric starts to leak water through. The higher the rating, the better can a fabric withstand weather conditions. Gore-Tex, being a fully waterproof membrane that withstands time has a water column of over 28.000mm, which means that is suitable for the harshest of rains and snow blizzards. On the other hand, DryVent‘s rating is around 15.000mm, which also means that this is a fully waterproof membrane, just like Gore-Tex. They also have been treated with DWR finish, so they are water-repellent on top of being waterproof. We already mentioned both fabrics being windproof, so there isn’t much to elaborate on that. However, what’s most important besides them being waterproof, is their breathability and Gore-Tex surpasses DryVent without a doubt. 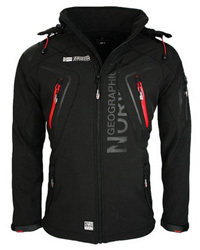 With a breathability rating of more than 15.000 (G/M2/24h), Gore-Tex wicks moisture away without faltering. DryVent measures at about 12-15.000 (G/M2/24h), which falls under the medium level. Both of them are suitable for outdoor adventures but Gore-Tex performs considerably better with extensive physical activity. Here the difference is also important, as Gore-Tex is made of ePTFE, which is sturdier and a bit heavier that DryVent, which is made of PU. The main difference though is in how the material performs when worn. ePTFE is stiff and may sometimes be hard to move in, while PU is very flexible and stretchy. For this reason, DryVent can be considered more comfortable to wear, especially for athletes. Here is where things really get settled between the two. Gore-Tex will last for a very long time, because ePTFE is a highly durable material that does not mind wear and does not give in to weather and environmental conditions no matter what. It is resistant to abrasion and able to keep stains away for the most part. DryVent has a lower resistance to wear and tear due to PU being less sturdier and more prone to change with time, losing some of its durability and in time, performance, especially in humid and hot conditions. They both come in several options due to custom requirements, which gives each option specific qualities for different activities. PackLite – Lighter and suitable for casual, everyday wear. Pro – Durable and highly breathable, suitable for activities such as hiking. 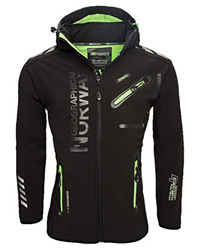 Active – Lightweight, highly waterproof, suitable for intense sports. Pro Shell – Waterproof, windproof and breathable, found in shoes, gloves and socks, and highly resistant to abrasion and tear. 2L – Two layers, breathable and very durable, suitable for most outdoor activities. 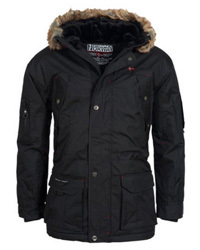 2.5L – Lightweight and finished with dry touch, waterproof and highly breathable, suitable for challenging activities. 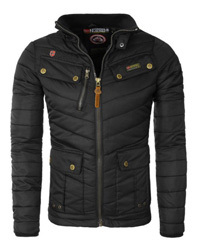 3L – Three layers, high performance and suitable for extreme outdoor sports and activities. All factors considered, the answer is an astounding “It depends”. We know, it doesn’t really settle the matter but it is the honest answer. They both perform at different levels for different areas. While Gore-Tex is highly breathable and very durable, it is not as flexible and light as DryVent, so it once again comes down to what you are looking for and how much you are willing to spend. If what you want is a jacket that performs at its best each time and will last for a very long time, then Gore-Tex might be worth the price tag. But if you are looking for something more economical and high-performance, but are willing to compromise on longevity and a little bit on breathability, then opt for jackets that are made of DryVent fabric. Thank you, this was objectively helpful!